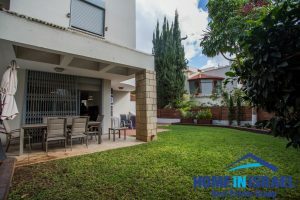 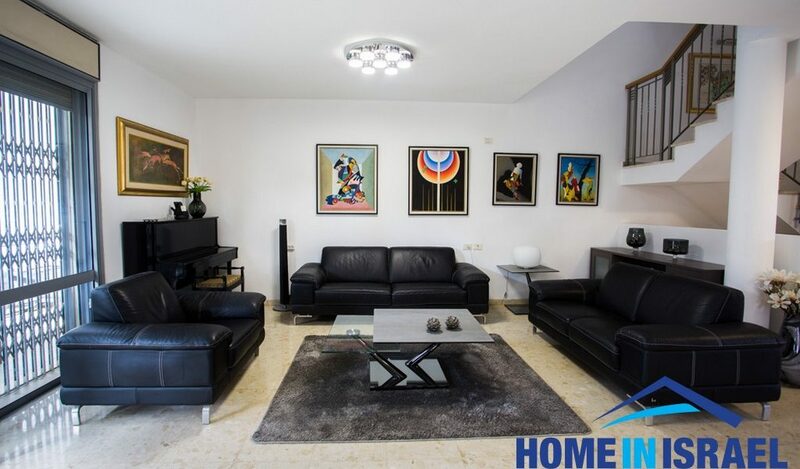 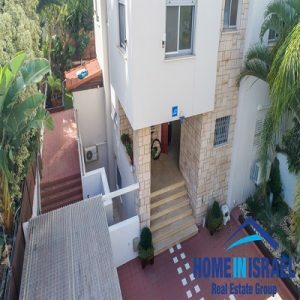 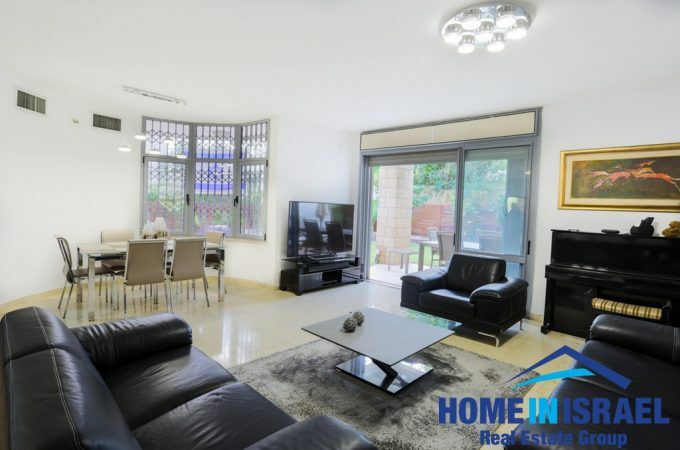 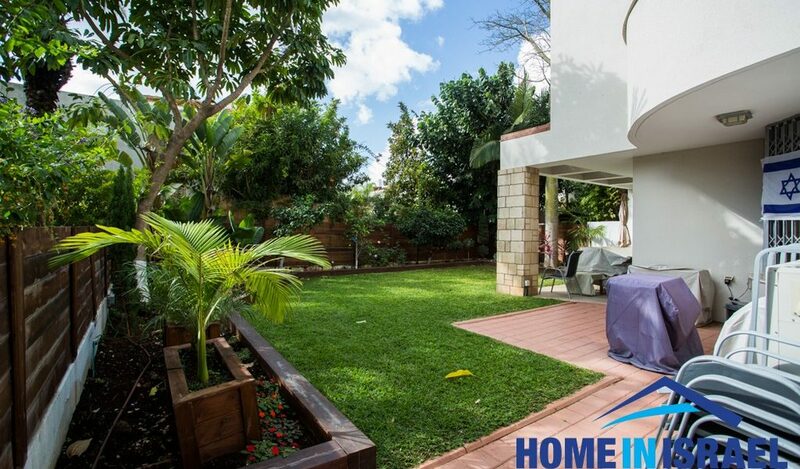 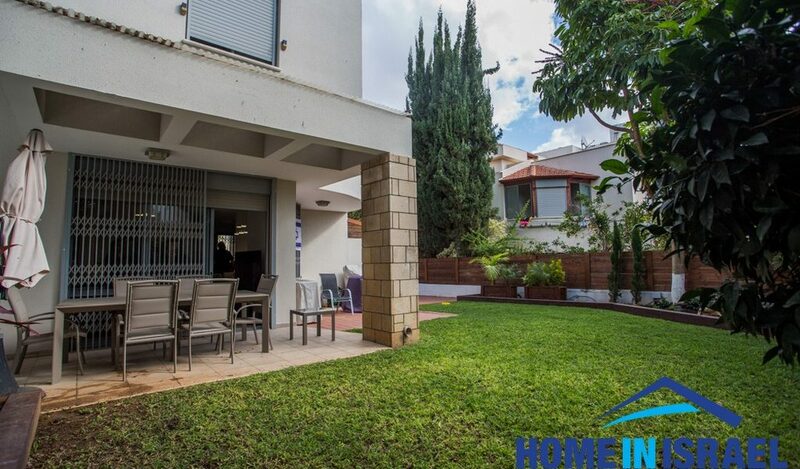 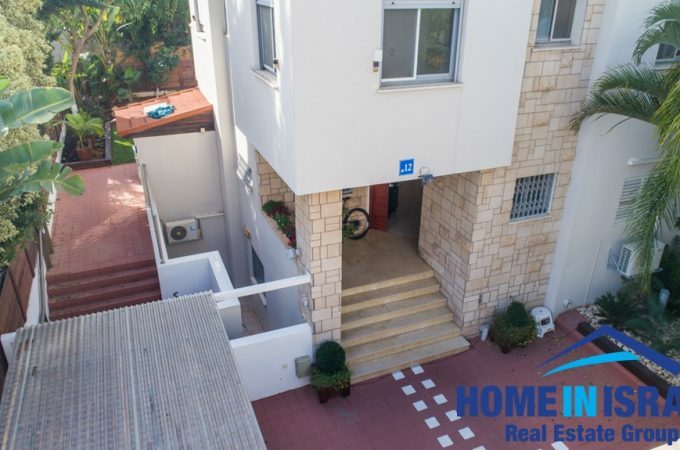 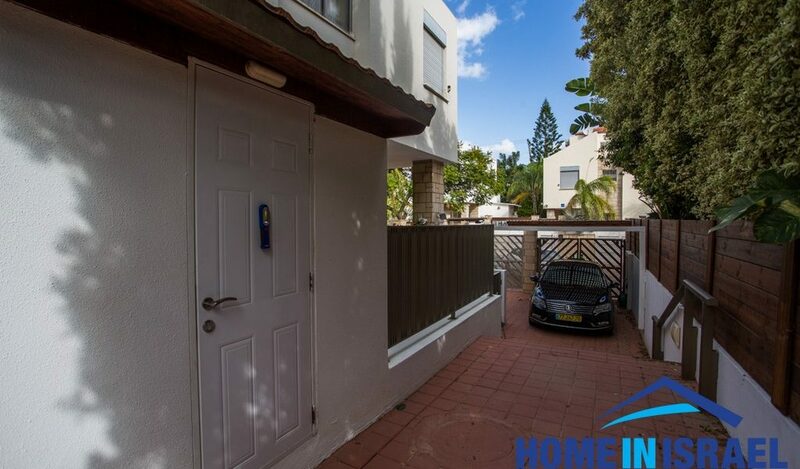 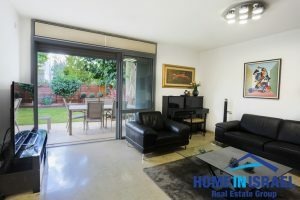 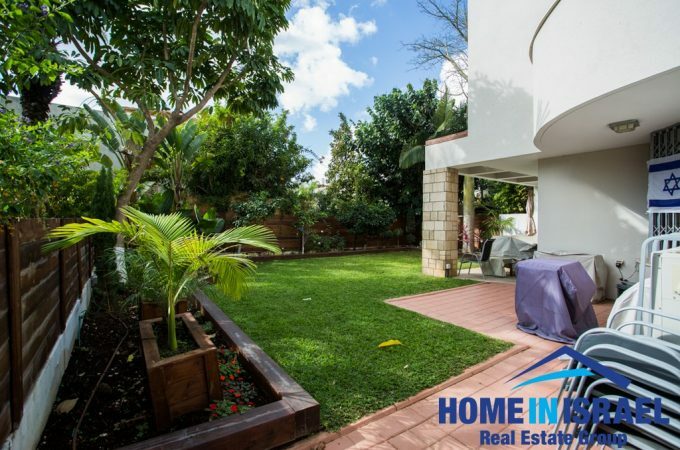 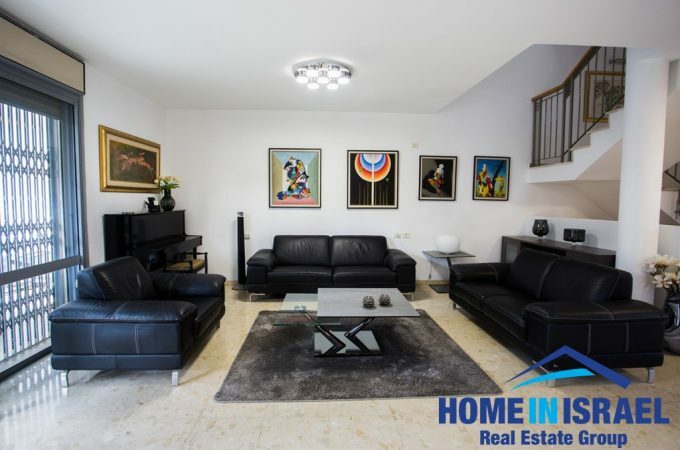 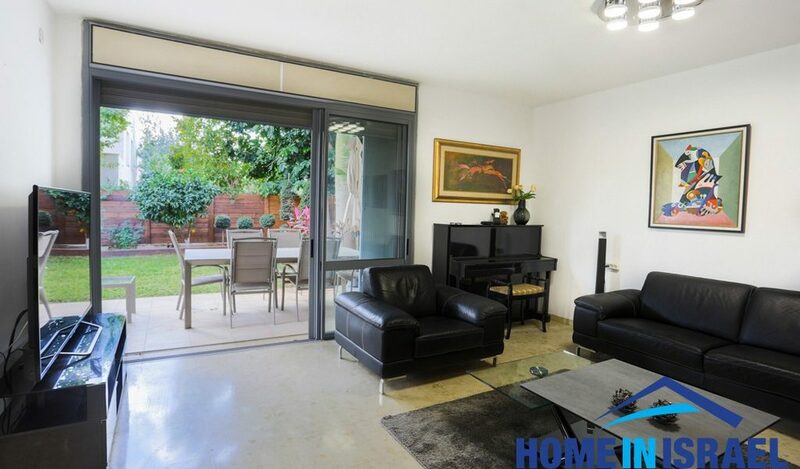 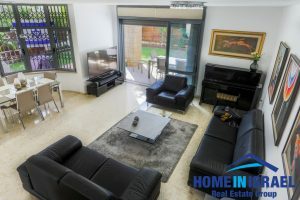 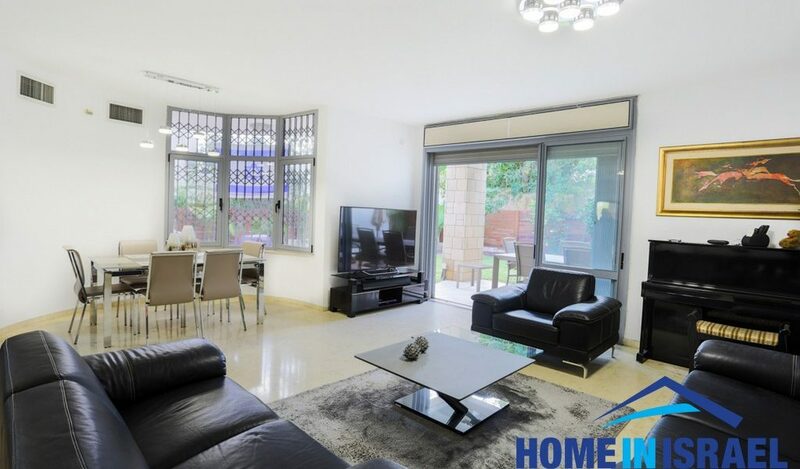 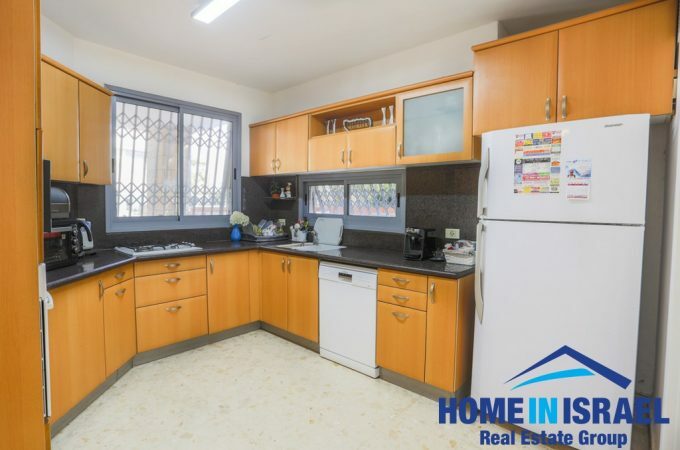 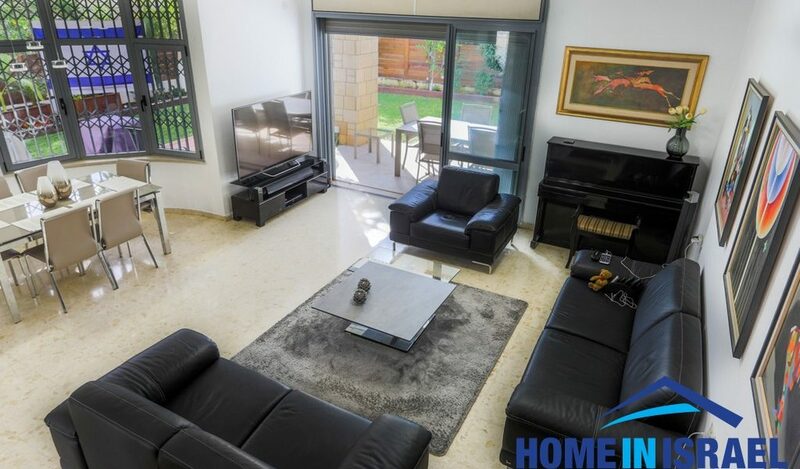 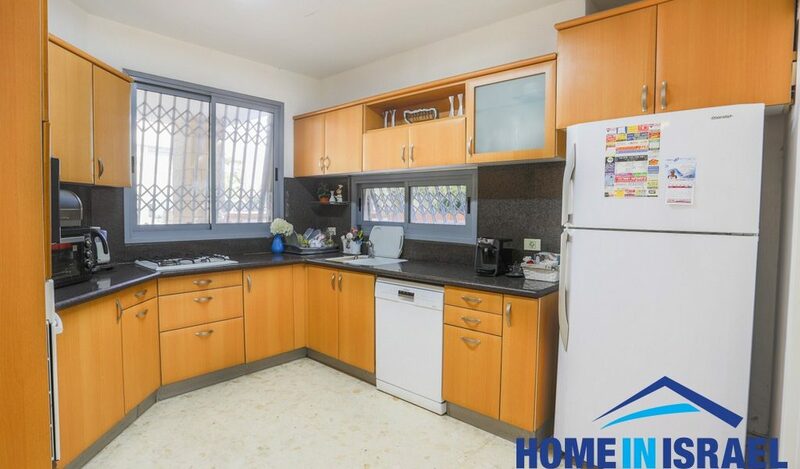 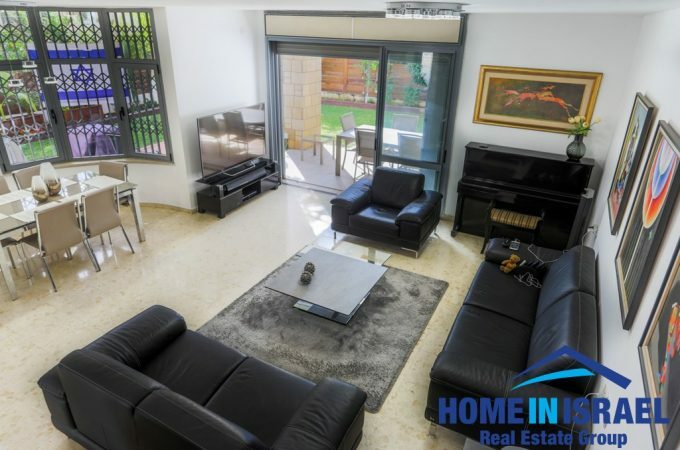 For sale a beautiful house on the quiet and sought after Turmus Street in Ramat Poleg. The house is built on 4 levels on a 345m plot of land. 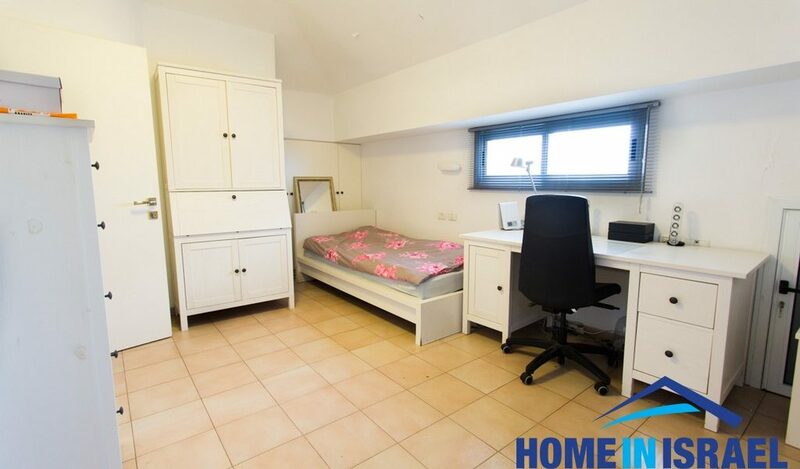 There are 7 rooms including the basement with a separate entrance. The garden is 180 m with a storage area. 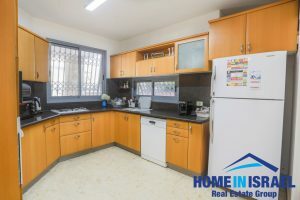 The kitchen has been designed and upgraded by Regba with a large dining area and salon area close by. 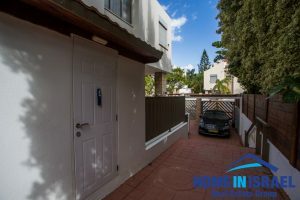 On the ground floor is a bedroom and on the first floor there is a large master suite with a walk in wardrobe and balcony and a further 2 bedrooms. 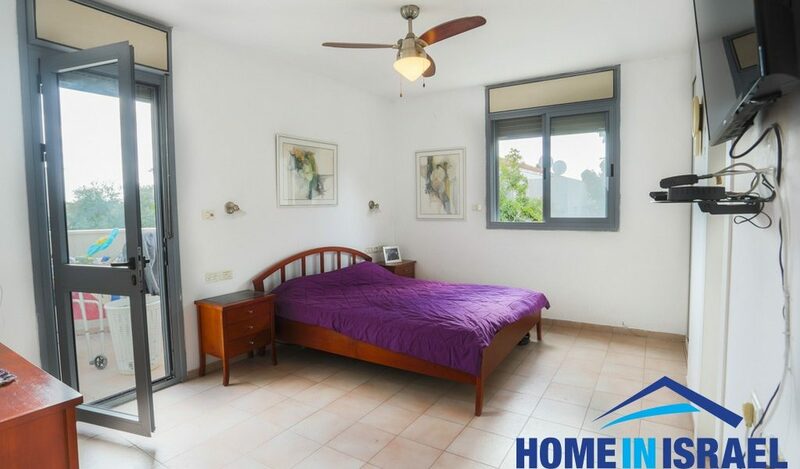 The top floor has a bedroom and a balcony with 2 storage rooms.